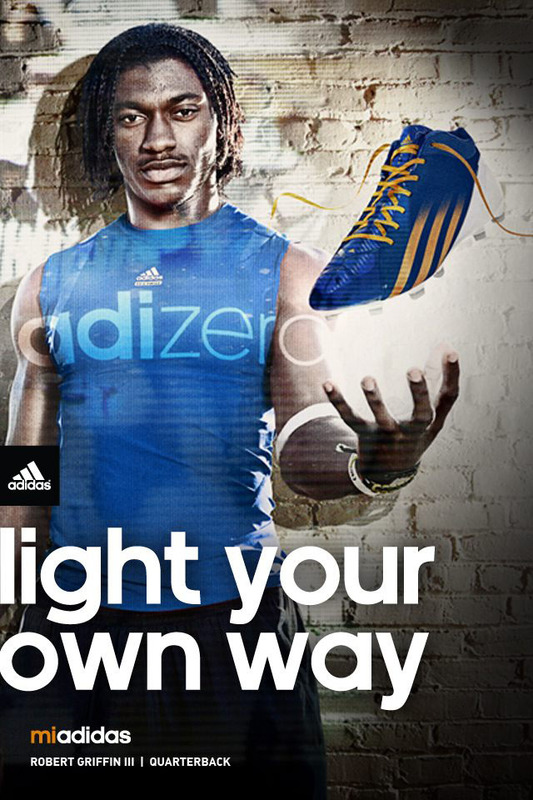 RG3 celebrates the addition of the adiZero 5-Star Mid to the miadidas customization program. 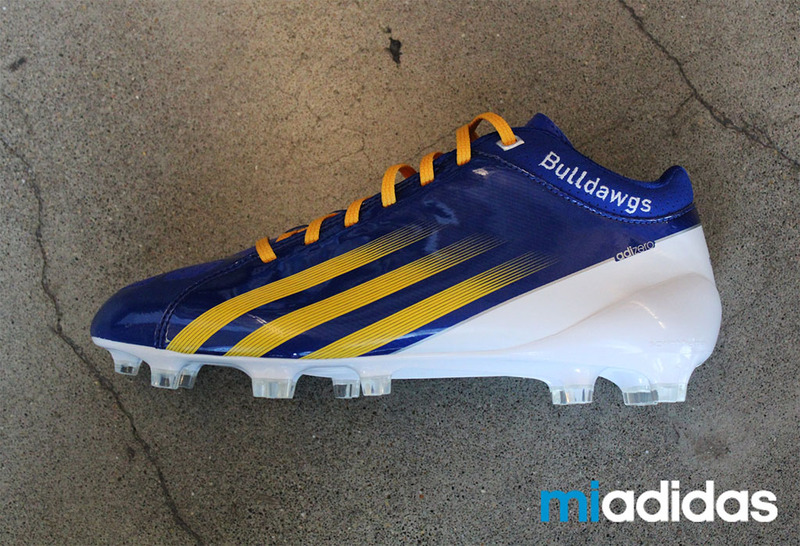 In the midst of training for his much anticipated rookie season with the Washington Redskins, quarterback Robert Griffin III took some time out to salute his alma mater Copperas Cove High School in Texas by designing a custom pair of adidas adiZero 5-Star Mid cleats at miadidas. 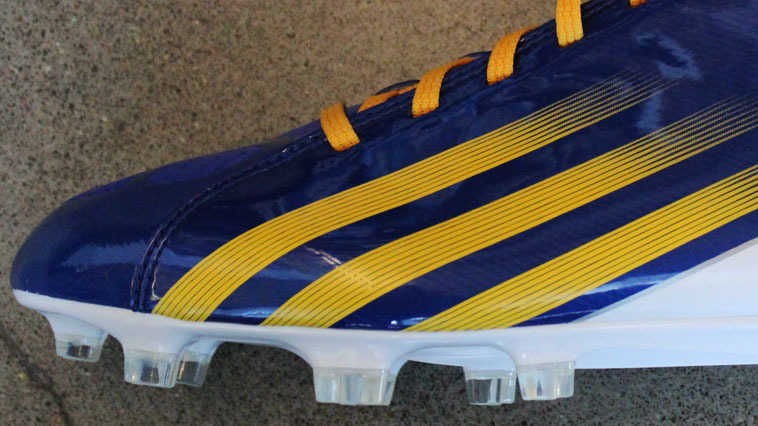 RG3's Copperas Cove edition cleats feature a royal blue base with yellow gold laces and Three-Stripes inspired by the school's team colors. 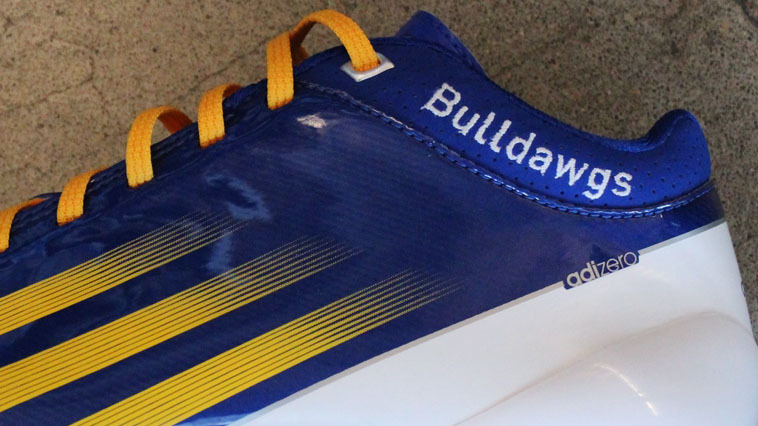 The word "Bulldawgs" is embroidered along the collar as a play on the school's Bulldogs team name. Fans can design a pair like Robert's on miadidas or pick up a pair at Eastbay and adidas.com. Check out the adidas Football Facebook page for exclusive content and follow the conversation on Twitter with #adiZero.